Vehicle Registration Tax (VRT) is a tax you must pay when first registering a motor vehicle in Ireland. 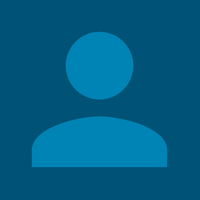 Find out how much VRT you would have to pay with the Cartell VRT Calculator. VRT is based on the Open Market Selling Price (OMSP) of the vehicle. The OMSP depends on the market value, engine size, year, model and roadworthiness condition of the vehicle. Vehicles are placed into categories before the amount of tax payable is calculated by Revenue. There are five categories, VRT category A, B, C, D and M.
Category A includes passenger vehicles (saloons, estates, hatchbacks, convertibles, coupes, MPVs, Jeeps etc.) and minibuses. The minibuses cannot carry more the eight people and a driver. These vehicles are generally European category M1, but can also contain certain category N1 vehicles which have four or more seats. Category B includes motor caravans and commercial vehicles designed for the transport of goods (less than 3.5 tonnes). These vehicles are European category N1 and generally have three seats or less. 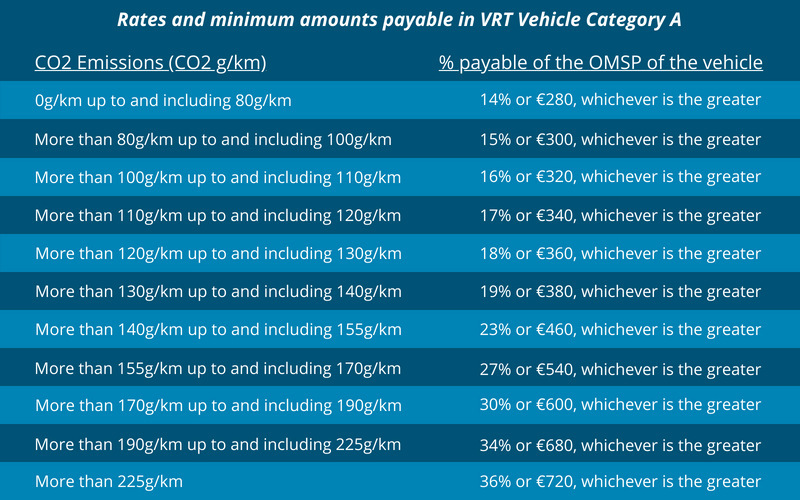 The VRT is generally 13.3% of the OMSP and the minimum due is €125. Customers who completed Cartell Checks have experienced instances where Jeeps were categorized as Category A but should have been Category B. Therefore, these vehicle owners may have paid up to 22% extra VRT. Category C includes larger commercial vehicles, agricultural tractors and buses with a minimum of 10 seats including the driver’s seat. These vehicles include European category N2 vehicles (over 3.5 tonnes and under 12 tonnes in weight), N3 vehicles (over 12 tonnes in weight), M2 vehicles (under 5 tonnes in weight, with a minimum of 10 seats including the driver’s seat) and M3 vehicles (over 5 tonnes in weight, with a minimum of 10 seats including the driver’s seat). 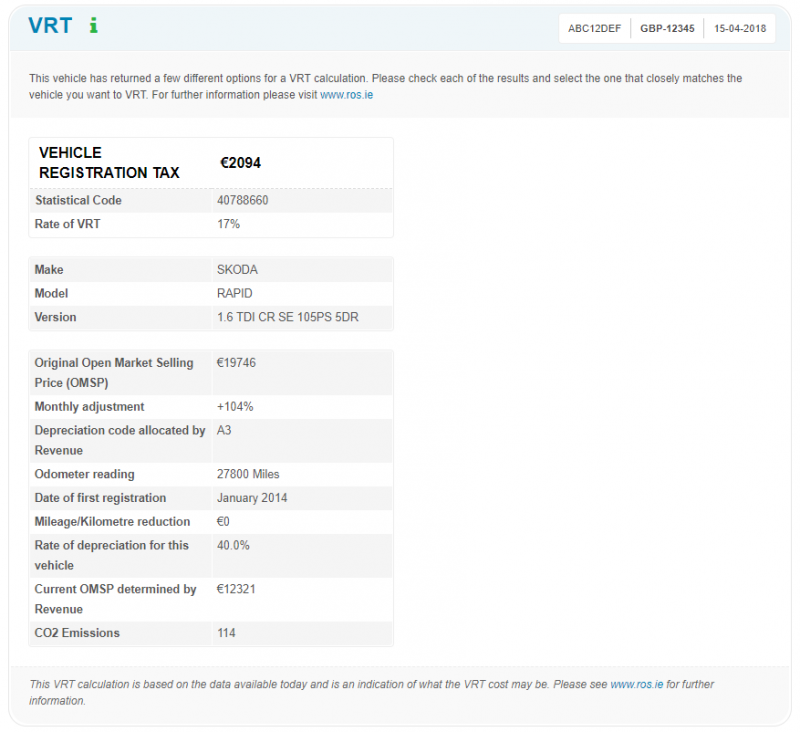 VRT Category C vehicles are subject to a €200 charge. Category D vehicles include ambulances, refuse collectors, sweeping machines, fire engines, road rollers and vehicles used exclusively for the transport of road construction machinery. Category D vehicles are not subject to VRT. Category M contains motorcycles, scooters and certain All Terrain Vehicles. The cubic capacity (cc) of the engine determines the VRT charge. These vehicles are classified under European category L1 to L7. NOTE: All above information is accurate as of the 22/08/2018, courtesy of Revenue.ie. If you are considering importing a vehicle from the UK, your Cartell Check will provide an accurate VRT Calculator as well as an entire history report including; Mileage Check, Finance Check, Write-Off Check, MOT History, and more! Know what you’re getting… View a complete Cartell Check here! Get a Cartell Car Check first.